It’s a beautiful day, today. 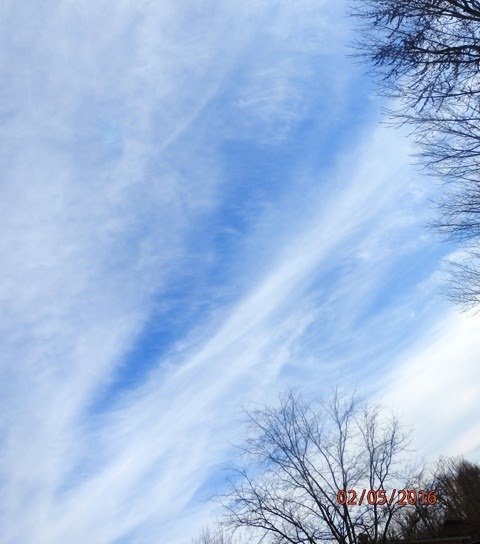 There are wispy clouds highlighted against the beautiful blue of the sky. It’s a little nippy outside, so I decided to finish up a small afghan I’ve been working on little by little as I’ve had time this week. It is 28″ x 32″ in size. I used a size Q (16 mm) hook and two strands of yarn for each stitch. 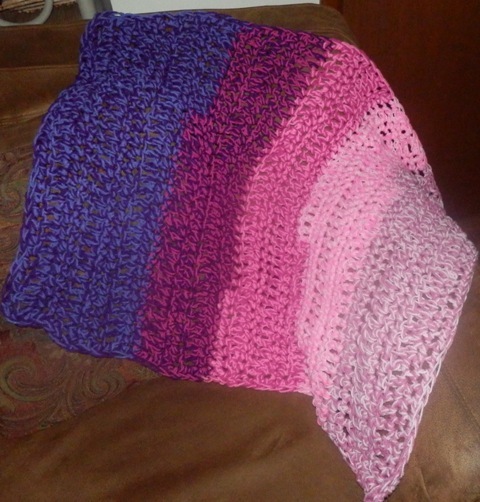 It’s made up of alternating two rows of single crochet and one row of double crochet through out. I changed colors, adding one color to a previous color, making it so that the colors blend as they go up and still have a color block definition too. 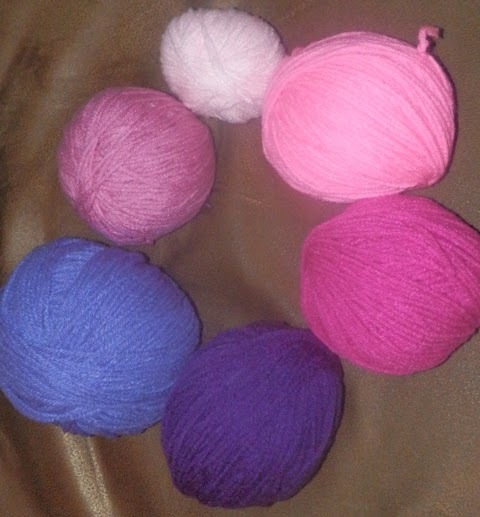 Each color combo had 8 – 10 rows, depending on when I wanted to change colors. Here are the colors/color combinations I used. It’s a great way to use up yarn if you find your yarn stash overflowing.